The Noll Law Firm, P.C. serves Long Island and the greater New York City area with quality legal services focused on personal injury. If you have been the victim of a personal injury due to someone else’s neglect, you may be able to recover damages that can alleviate the future financial burdens of lost wages, medical bills, and impact on employment. You deserve diligent, aggressive, and persistent representation with your best interests in mind. New York personal injury laws are complicated and our Long Island firm has years of experience focused solely on personal injury law. This offers our clients the effectiveness and tenacity they expect from our firm. When looking for the right attorney, know that The Noll Law Firm, P.C. has the dedication that produces results. We will work tirelessly with other professionals to prove the validity of your case and help you recover what you are owed. Don’t let someone’s negligence negatively impact your life. Protect your rights, protect your family’s future, and call The Noll Law Firm, P.C. today for a consultation. The Noll Law Firm, P.C. serves Long Island and the greater New York City area with quality legal services focused on personal injury. If you have been the victim of a personal injury due to someone else’s neglect, you may be able to recover damages that can alleviate the future financial burdens of lost wages, medical bills, and impact on employment. You deserve diligent, aggressive, and persistent representation with your best interests in mind. New York personal injury laws are complicated and our Long Island firm has years of experience focused solely on personal injury law. The streets of Long Island and New York are busy and dangerous. Everyone is moving quickly to get to their location on streets littered with obstacles that put everyone in danger. Weather conditions, reckless drivers, and objects that reduce visibility are just some of the many hazards on the road. When you are in need of a law firm that has your best interests in mind and the persistence that produces results, The Noll Law Firm, P.C. is the firm for you. If you have been the victim of a motor vehicle accident and believe that your injuries were the fault of the other party, call us to discuss your case. Navigating the sidewalks, parking facilities, and streets of Long Island and New York can be treacherous. One may sustain a devastating personal injury just by walking down their own street. When someone is injured because of a slip and fall accident, their livelihood may be at stake. If you have been injured in a slip and fall accident due to someone else’s negligence, we will aggressively seek the damages you deserve. 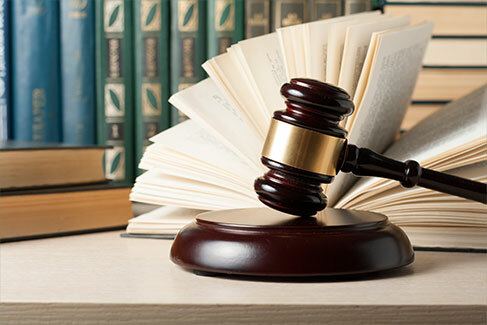 Our experienced Long Island attorneys are ready to serve clients with a committed and unyielding representation that produces results. 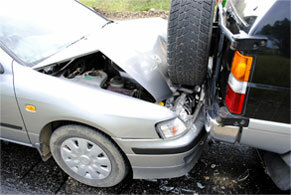 Whether you are the victim of a sidewalk, parking lot, or snow and ice accident, call us today. Working on construction sites in Long Island and New York City can be a dangerous occupation. There are many rules and regulations put in place to protect workers from injury. The OSH Act of 1970 was drafted to end unnecessary injuries and deaths that plagued the construction industry. Unfortunately, workers are still getting hurt and killed on construction sites. Sometimes, these issues are related to the negligence of an employer, general contractor, or property owner. If you are hurt due to someone else’s neglect, you are entitled to recover damages through workers’ compensation and sometimes, a lawsuit.